Part of a range of controllers, the CRIUS® is the big brother of the CRONOS® and offers more sensor connections, more functionality and more flexibility with a colour screen and optional built in 3G modem. The CRIUS® is an attractively priced, top of the range instrument controller. Optional communications packages allow Profibus, Modbus ASCII, Modbus RTU, Modbus TCP and others. The CRIUS® is equipped with the capability to connect up to four sensors of any type with appropriate analogue outputs and relays. Four sensors not enough? Simply connect up to 4 CRIUS® together all using the same display and communications. Equipped with data-logging as standard and multiple PID loops as options, the CRIUS® is very able to control complex water treatment processes at a fraction of the cost of other controllers. With all users having their own log on, and with three levels of instrument and remote access security, you can use the CRIUS® with all of its superior functionality with confidence. The phrases ‘Water 4.0’, ‘Industry 4.0’, ‘Internet of Things’ and ‘SMART and DIGITAL’ are now commonly heard but what do they mean and where does Pi fit in? It is generally accepted that SMART refers to the increasing sophistication of equipment to make decentralised decisions, so it is this technology that allows for the implementation of Industry 4.0 or Water 4.0, and DIGITAL refers to its comms capability. For example, in 1990 a chlorine analyser measured chlorine in water, gave out a 4-20mA output proportional to the chlorine and a couple of relays. In 2018 the CRIUS® HaloSense (fully Water 4.0 developed) can provide the 4-20mA output and relays, but also has multiple digital comms options (interoperability), has space for up to 16 sensors (information transparency), has wireless and wired internet access (technical assistance) and full PID capability with remote setpoint, i.e. another device can set the setpoint (decentralisation). Watch a 2 minute animated video about Pi’s CRIUS® controller below. For each sensor the CRIUS® will prompt users through calibration procedures and will remind them when maintenance is due for each sensor type. The CRIUS® is currently used in a multitude of applications including: Water Treatment for the control of, for example, Cooling Towers where the online biofilm control of the BioSense and the remote access capability is bringing solutions to our customers’ water treatment requirements. The CRIUS® is preferred in the Swimming Pools market, where the superior control and sensor capability provides for better quality bathing water. Again the remote access is proving essential to our customers along with the Variable Speed Drive (VSD) control which is massively reducing electricity usage and CO2 emissions (and reduces the electric bills!). 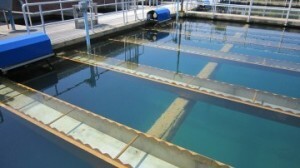 In the municipal drinking water market, the superior control capability is making it the controller of choice for areas like coagulation control with the superior sensors in use particularly for chlorine control and dissolved oxygen control. The CRIUS® can also come in a multitude of languages making it suitable for use in any market. Customers requiring a no-frills controller should consider the CRONOS® controller. Small water treatment plants, secondary disinfection plants etc. tend to suffer from similar problems wherever they are in the world. The first is lack of communications SCADA infrastructure, the cost of which to install can be prohibitive. The second is the lack of a central DCS control infrastructure, again the installation of which can be cost prohibitive. The third is the remote location. Often these water treatment plants are in remote and difficult to access locations. With these three issues facing many water engineers around the world, a low cost solution providing solutions to all three issues is available from Pi. A CRIUS® controller has the on board capacity to provide small scale SCADA, and full online PID control whilst the sensors (e.g. chlorine, pH, Turbidity etc.) are suitable for long term operation without operator intervention. To demonstrate the remote access capability of the CRIUS® please click here. To hear more about other customers using the CRIUS® multiparameter controllers in a similar way why not contact us? …Pi’s CRIUS® controller is already set up for all of these things? …Pi already has SMART and DIGITAL installations all over the world? …Pi works as partners to many multinational organisations to provide their remote access, remote comms and SMART technology? So what is Industry 4.0 (and Water 4.0 and the Internet of Things and SMART and DIGITAL technology)? Simply put the concept is that we are currently living through the 4th Industrial Revolution. The first was mechanisation, (what we currently think of as the Industrial Revolution), so steam engines, Spinning Jennies, railways, canals and factories in the 1800’s. The second was the age of mass production so; electricity, the production line, etc., largely in the first half of the 20th century. The third was computers and automation, in the latter part of the 20th century, and the fourth? The fourth (Industry 4.0) is about ‘SMART’ factories. (The original use of the expression Industry 4.0 was by a group of advisors to the German government who presented their advice in 2012). Industry 4.0 is about making factories as SMART as they can be. That is having assets (machines, people, robots, AI, cyber technology etc.) all communicating with each other. Interoperability – everything should be able to talk to everything else. Information Transparency – the physical world should be able to be recreated virtually to allow for testing and modelling. Technical Assistance – information should be presented in a way that supports people to make good and fast decisions. Decentralisation – after decades of centralisation to things like DCS systems and SCADA systems, the future is to enable as many decisions as possible to be made locally by whatever intelligence (human or machine) is available. So what is Water 4.0 and SMART and DIGITAL? Water 4.0 is simply how this technology and philosophy will be implemented/will affect the water industry. There are some clear outcomes from the above… more sensors… more modelling… ‘SMARTER’ instruments, controllers, pumps etc.. These terms aren’t quite as well defined as others. Generally it is accepted that SMART is the increasing sophistication of equipment to make decentralised decisions. For example, in 1990 a chlorine analyser measured chlorine in water, gave out a 4-20mA output proportional to the chlorine and a couple of relays. Now the CRIUS® HaloSense (fully Water 4.0 developed) can provide the 4-20mA output and the relays, but also has multiple digital comms options (INTEROPERABILITY), has space for up to 16 sensors (INFORMATION TRANSPARENCY), has wireless and wired internet access (TECHNICAL ASSISTANCE) and full PID capability with remote setpoint, i.e. another device can set the setpoint (DECENTRALISATION). So SMART technology is the technology that allows for the implementation of Industry 4.0 or Water 4.0. DIGITAL tends to refer to the comms capability. So what is the Internet of Things or IoT? When the previous Industrial Revolutions happened, the technology and concepts spilled over into the consumer world from the business/manufacturing world. With Industry 4.0 it is beginning to be the other way around with consumer demand for the internet, and mobile phone technology, driving the technology. If we assume that in this Industrial Revolution the same thing will happen, then the Internet of Things refers to all devices we use all the time talking to each other and making their own decisions. Imagine your mobile phone waking you at 6am and telling your kettle that turns itself on at 6.20am, which tells your car that starts itself and defrosts the windscreen at 6.30am etc., etc..
Not convinced that we are in a new Industrial Revolution? Consider this…… perhaps Industrial Revolutions are only identifiable in hindsight? And what does it matter? Well from Process Instruments’ point of view, it doesn’t. As long as our products are leading the way in providing our customers with what they need to enable their own Industry 4.0. If you have used a Pi controller you will know that they give you unrivalled control options but did you know that Pi’s new controllers also offer individual security for up to 20 named individuals? Pi’s controllers have always given flexibility but did you know that Pi’s new controllers can accommodate up to 16 sensors of any description? This Focus On describes the 10 most popular innovations to be found in Pi’s new CRONOS® and CRIUS®. Both the CRONOS® and CRIUS® analyser/controller has a downloadable human readable service log – giving an entire history of the instrument including current settings, calibrations etc. Provides a great snapshot of how an engineer left an instrument. Ever had to set up many instruments with the same settings? Simply set up one and copy it to others! Lost the manual or can’t be bothered to find it? Pi’s analysers have the answer! No. 4 – Want a bit more info on what’s going on with a sensor? Pi’s new sensor maintenance pages are just for you then! Detailed information about all aspects of the signal coming off the sensor clearly available. No. 5 – Instrument datalogs not quite giving you what you need? Pi’s new look datalogs in CRONOS® and CRIUS® (downloadable) let you datalog almost everything, put graphs on the display, datalog the same parameters at more than one interval and a whole lot more. Never has instrument datalogging been so easy and complete. The new enclosure brings a new level of flexibility being wall mountable, pole and handrail mountable and even flush mountable. Not only that, but it gives you loads of room to work in and there are even spare live, neutral and earth terminals to make wiring relays easier! No. 7 – Not enough I/O? Don’t worry, simply daisy chain 4 CRIUS® together and you can use the same display, comms options etc. and increase your I/O fourfold to give up to 16 sensors. No. 8 – Bored of reading about stuff in manuals that you don’t have? Pi’s new manuals are bespoke to each instrument. The manual is ‘built’ to match each individual instrument so the manual only has what you have! No. 9 – Has the operator been messing with settings they shouldn’t? No more! With 20 individual user settable logons, you can give people access to what they need and no more. Pi has developed a reputation for developing great control algorithms and this has continued with the new CRONOS® and CRIUS® with the introduction of feed forward control algorithms and a master controller which selects the correct control philosophy to use (for use with complex systems such as coagulation control). …nearly everything you can do in front of the analyser you can do remotely? …we have been working closely with our customers to bring you an even better service? …a lot of our customers have seen the number of engineer callouts drastically reduce, saving them time and money? User interface – The interface mimics the analyser, making the data and other features easy to find. Anyone already familiar with the CRIUS® analyser will already be familiar with remote access. Anyone requiring training can now be trained remotely using remote access and Skype. User control – Each user has their own customisable access rights for what they can view and change on the analysers. This is set by the ‘parent’ user. Speed – The service now runs around 50 times faster than its predecessor, allowing users to connect and download the current sensor values and settings in under 30 seconds (test performed on CoagSense coagulation controller with 27 different devices such as sensors!). Reduced data costs – By making the connection between the server and analyser more efficient, Pi has reduced the amount of data required for nearly all tasks thereby significantly reducing costs. Customer branding – On request, Pi can brand the remote access theme to promote a customer’s brand. Data analysis – The graphical interface is a powerful and flexible tool for viewing your data. The way we handle your analyser’s data means that every single data point is stored in the cloud, allowing a user to download 3 months’ worth of data with a single click. Password reset – If a password has been lost or forgotten, a user can enter their email address into the password reset function which will then email a list of instructions on how to reset it. Data limit – Users can now limit how much data each analyser can use per day, meaning no more unexpected data costs. So what can Remote Access do for you? Remotely checking and changing settings for customers who may not be confident in doing so or who may not have access to the analyser. Allowing Pi’s service team to temporarily remotely connect to the analyser if customers have an issue and are unsure about how to solve it. Automatically sending daily/weekly reports of data logs and/or status logs to users from the server (no mobile data costs from the analyser). Easily view when maintenance is required or due on analysers, allowing users to efficiently plan which sites to visit and when. Know when alarms activate on the unit within seconds by enabling text and/or email alerts direct from the analyser. Tune control values to optimise dosing without the need to visit the site. Analyse stored data to investigate incidents, explain issues or validate the process. Save money by reducing the number of callouts and the number of miles your engineerstravel! When the analyser and remote access server communicate, Pi uses a ‘Pre-Shared Key’. This creates a secure connection between the server and analyser. The key acts as a password and without it the analyser will not respond. The key is randomly generated in every analyser making it unique to each, and if required the key can be re-generated from the analyser. The analyser can also be connected directly to a Virtual Private Network (VPN) which blocks unwanted traffic and connections automatically and will only transfer information between the analyser and server. How does user access work? Each user has their own username and password. This means that what they see and what they can do can be customised so only authorised users can make changes. How are the analysers and customers managed? If a user creates a group, then they become that group’s ‘parent’. The ‘parent’ of a group creates the analysers and users for that group. If a user is a ‘parent’ to more than one group, they will also have the ability to create users that can access multiple groups from a single user account.